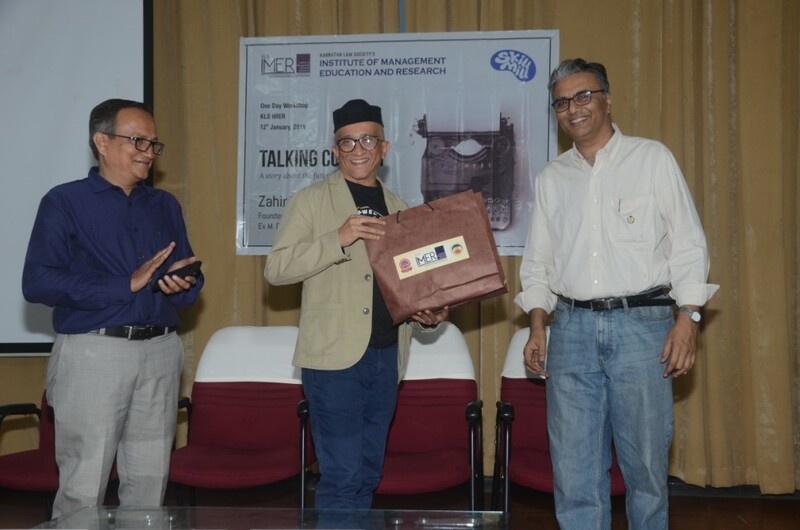 KLS IMER conducted one day workshop on 12th January, 2019 on a very unique topic "Talking Content". Mr. Zahir Mirza, an advertising wizard, founder of Skill Mill and Ex M.D of Doosra (a Dentsu Aegis Company) with over 25 years of experience in the ad world was the resource person. He gave various insights on techniques and construct of a good story and importance of screen time that people are engaged throughout the world as a result of increase in the creative content being generated. Students and faculty from various graduate and post graduate colleges of Belagavi city participated in the workshop and people from industry gained valuable insights from the session. Shri. Rajendra Belgaumkar, Chairman GC, KLS IMER presided over the function, Dr. S. G Chiniwar, Director, KLS IMER encouraged the participants and Prof. Ajay Jamnani coordinated the workshop.